Affiliation: Fraunhofer Institute IAIS, business field ofBig Data Analytics. Dr. Stefan Rüping leades the business field of Big Data Analytics at the Fraunhofer Institute IAIS. He has years of experience in consulting, project management, and teaching in both industrial and academia projects. His research interests include machine learning, artificial intelligence, knowledge discovery and data mining. Before joining Fraunhofer he was working as a research assistant and Ph. D. student at the Artificial Intelligence Chair of the University of Dortmund, where he finished his Ph. D. in 2006 as a student of Prof. Katharina Morik. 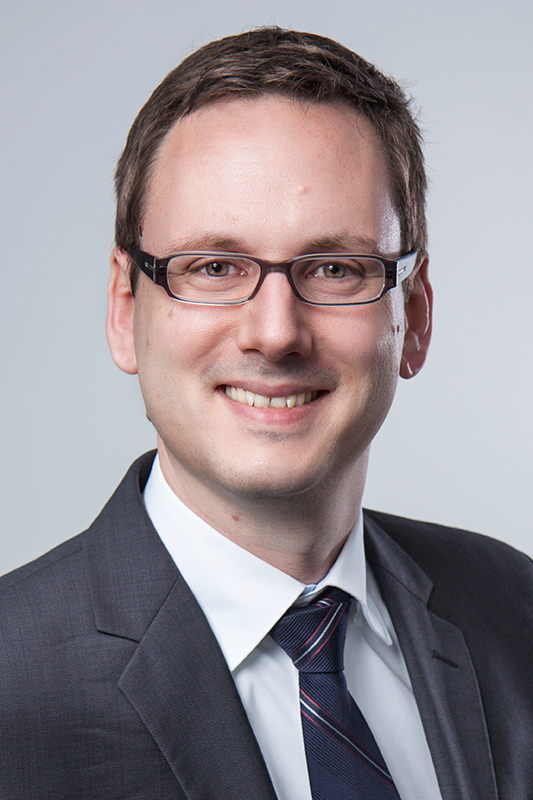 2015 Rüping, Stefan: Big Data in Medizin and Gesundheitswesen. In: Bundesgesundheitsblatt - Gesundheitsforschung - Gesundheitsschutz,58(8), pp. 794-798, 2015. 2014 Tsiliki, Georgia and Kossida, Sophia and Friesen, Natalja and Rüping, Stefan and Tzagarakis, Manolis and Karacapilidis, Nikos: A Data Mining Based Approach for Collaborative Analysis of Biomedical Data. In: International Journal on Artificial Intelligence Tools, 23(4), 2014. Friesen, Natalja and Kindermann, Jörg and Maassen, Doris and Rüping, Stefan: Data Mining in Data-Intensive and Cognitively-Complex Settings: Lessons Learned from the Dicode Project. In: Mastering Data-Intensive Collaboration and Decision Making, Karacapilidis, Nikos (ed. ), pp. 201-212, Springer, 2014. Friesen, Natalja and Jakob, Max and Kindermann, Jörg and Maassen, Doris and Poigné, Axel and Rüping, Stefan and Trabold, Daniel: The Dicode Data Mining Services. In: Mastering Data-Intensive Collaboration and Decision Making, Karacapilidis, Nikos (ed. ), pp. 89-118, Springer, 2014. Kondylakis, Haridimos and Koumakis, Lefteris and Rüping, Stefan and Kazantzaki, Eleni and Marias, Kostas and Tsiknakis, Manolis: PMIR: A Personal Medical Information Recommender. In: Proceedings of MIE2014, the 25th European Medical Informatics Conference, Istanbul, Turkey, August 31 - September 3, p. 1193, 2014. Christ-Neumann, Marie-Luise and Escrich, Ana and Anguita, Alberto and Stenzhorn, Holger and Taylor, Marian and Ramay, Hena and Rüping, Stefan and Krauth, Christian and Kuchinke, Wolfgang and Graf, Norbert and Rossi, Simona: Usability on the p-medicine infrastructure: an extended usability concept.. In: ecancermedicalscience, 8(1), p. 399, 2014. 2013 Rüping, Stefan and Anguita, Alberto and Bucur, Anca and Cirstea, Traian Cristian and Jacobs, Björn and Torge, Antje: Improving the Implementation of Clinical Decision Support Systems. In: Proceedings of 35th Annual International Conference of the IEEE Engineering in Medicine and Biology Society (EMBC’13), Osaka, Japan, 2013. Rüping, Stefan and Graf, Norbert: Datenanalyse: Big Data in der Medizin. In: Dtsch Arztebl International, 110(41), 2013. Stamatakos, Georgios and Dionysiou, Dimitra and Lunzer, Aran and Belleman, Robert and Kolokotroni, Eleni and Georgiadi, Eleni and Erdt, Marius and Pukacki, Juliusz and Rüping, Stefan and Giatili, Stavroula and d'Onofrio, Albert and Sfakianakis, Stelios and Marias, Kostas and Desmedt, Christine and Tsiknakis, Manolis and Graf, Norbert: The Technologically Integrated Oncosimulator: Combining Multiscale Cancer Modeling With Information Technology in the In Silico Oncology Context. In: IEEE Journal of Biomedical and Health Informatics, 18(3), pp. 840-54, 2014. 2012 Grosskreutz, Henrik and Paurat, Daniel and Rüping, Stefan: An Enhanced Relevance Criterion for More Concise Supervised Pattern Discovery. In: Proceedings of the 18th ACM SIGKDD Conference on Knowledge Discovery and Data Mining (KDD 2012), Beijung, China, 2012. Friesen, Natalja and Rüping, Stefan: Distance Metric Learning for Recommender Systems in Complex. In: Domains Mastering Data-Intensive Collaboration through the Synergy of Human and Machine Reasoning (dicoSyn 2012), workshop at CSCW 2012, February 12, 2012, Seattle, WA, 2012. Tsiliki, Georgia and Kossida, Sophia and Friesen, Natalja and Rüping, Stefan and Tzagarakis, Manolis and Karacapilidis, Nikos:Data Mining Based Collaborative Analysis of Microarray Data. In: IEEE 24th International Conference on Tools with Artificial Intelligence (ICTAI), p. 682-689, 2012. Karacapilidis, Nikos and Rüping, Stefan and Tsiliki, Georgia and Tzagarakis, Manolis: Towards a Meaningful Analysis of Big Data - Enhancing Data Mining Techniques through a Collaborative Decision Making Environment. DATA 2012, p. 141-146, 2012. Karacapilidis, Nikos and Lau, Lydia and Lee, C. and Rüping, Stefan: Mastering data-intensive collaboration through the synergy of human and machine reasoning. In: S.E. Poltrock, C. Simone, J. Grudin, G. Mark and J. Riedl (eds. ), Proceedings of the 2012 ACM Conference on Computer Supported Cooperative Work (CSCW 2012) - Companion Volume, Seattle, WA, USA, February 11-15, ACM Press, pp. 21-22, 2012. Graf, Norbert et al. : P-medicine: a solution for translational research? In: Pediatric Blood and Cancer, 2012. 2011 Bucur, Anca and Rüping, Stefan and Sengstag, Thierry and Sfakianakis, Stelios and Wegener, Dennis: The ACGT project in retrospect: Lessons learned and future outlook. In: Proceedings of the International Conference on Computational Science (ICCS 2011), Procedia Computer Science, Volume 4, Pages 1119-1128, 2011. Wegener, Dennis and Rüping, Stefan Integration and reuse of data mining in business processes - A pattern-based approach. In:	International journal of business process integration and management : IJBPIM 5 (2011), No.3, pp.218-228. Rossi, Simona, and Christ-Neumann, Marie-Luise, and Rüping, Stefan and Buffa, Francesca, and Wegener, Dennis, and McVie, Gordon, and Coveney, Peter, and Graf, Norbert, and Delorenzi, Mauro. p-Medicine: From data sharing and integration via VPH models to personalized medicine. In: Ecancermedicalscience. Online journal 5 (2011), Art. 218, 6 pp, 2011. http://www.ecancermedicalscience.com. Wegener, Dennis, and Rossi, Simona, and Buffa, Francesca, and Delorenzi, Mauro, and Rüping, Stefan Towards an environment for data mining based analysis processes in bioinformatics & personalized medicine. In: IEEE International Conference on Bioinformatics and Biomedicine Workshops, BIBMW 2011, 12-15 November 2011, Atlanta, GA, USA, pp.570-577, 2011. 2010 Friesen, Natalja and Rüping, Stefan: Workflow Analysis Using Graph Kernels. In: Proceedings of the ECML/PKDD Workshop on Third-Generation Data Mining: Towards Service-Oriented Knowledge Discovery (SoKD’10), Barcelona, Spain, 2010. Rüping, Stefan and Wegener, Dennis, and Bremer, Philipp: Re-using Data Mining Workflows. In: Proceedings of the ECML/PKDD Workshop on Third-Generation Data Mining: Towards Service-Oriented Knowledge Discovery (SoKD’10), Barcelona, Spain, 2010. Grosskreutz, Henrik, and Lemmen, Benedikt, and Rüping, Stefan: Secure Top-k Subgroup Discovery. In: Proceedings of the ECML/PKDD Workshop on Privacy and Security issues in Data Mining and Machine Learning (PSDML 2010), Barcelona, Spain, 2010. Grosskreutz, Henrik, and Lemmen, Benedikt, and Rüping, Stefan: Privacy-preserving data-mining. In: Informatik-Spektrum, Bd.33 (2010), 4, 2010. Wegener, Dennis and Rüping, Stefan:On Reusing Data Mining in Business Processes - A Pattern-based Approach. In: Proceedings of the 1st International Workshop on Reuse in Business Process Management (rBPM 2010), Hoboken, New Jersey, USA, 2010. Rüping, Stefan: SVM Classifier Estimation from Group Probabilities. In: Proceedings of the 27th International Conference on Machine Learning (ICML 2010), Haifa, Israel, 2010. Wegener, Dennis and Rüping, Stefan: On Integrating Data Mining into Business Processes. In: Proceedings of the 13th International Conference on Business Information Systems (BIS 2010), Berlin, Germany, 2010. 2009 Tagaris, A. and Konnis, G. and Benetou, X. and Dimakopoulos, T. and Kassis, K. and Athanasiadis, N. and Rüping, S. and Grosskreutz, H. and Koutsouris, D.: Integrated Web Services Platform for the facilitation of fraud detection in health care e-government services. In: Proceedings of the 9th International Conference on Information Technology and Applications in Biomedicine (ITAB 2009), Lacarna, Cyprus, 2009. Grosskreutz, Henrik and Rüping, Stefan: On Subgroup Discovery in Numerical Domains. In: Data Mining and Knowledge Discovery, 19(2), 210-226, 2009. Rüping, Stefan: Ranking Interesting Subgroups. In: Proceedings of the 26th International Conference on Machine Learning (ICML 2009), Bottou, Leon and Littman, Michael (Eds. ), Montreal, Omnipress, 913-920, 2009. Seth, Shivani, Rüping, Stefan, and Wrobel, Stefan: Metadata Extraction Using Text Mining. In: Healthgrid Research, Innovation and Business Case - Proceedings of HealthGrid 2009, Solomonides, Tony, Hofmann-Apitius, Martin, Freudigmann, Mathias, Semler, Sebastian Claudius, Legre, Yannick, and Kratz, Mary (eds. ), IOS Press, 95-104, 2009. Rüping, Stefan, Wegener, Dennis, Sfakianakis, Stelios and Sengstag, Thierry: Workflows for Intelligent Monitoring Using Proxy Services. In: Healthgrid Research, Innovation and Business Case - Proceedings of HealthGrid 2009, Solomonides, Tony, Hofmann-Apitius, Martin, Freudigmann, Mathias, Semler, Sebastian Claudius, Legre, Yannick, and Kratz, Mary (eds. ), IOS Press, 277-282, 2009. Wegener, Dennis, Sengstag, Thierry, Sfakianakis, Stelios, Rüping, Stefan, Assi, Anthony: GridR: An R-based tool for scientific data analysis in grid environments. In: Future Generation Computer Systems: The International Journal of Grid Computing: Theory, Methods and Applications, 25(4), 481-488, 2009. Sfakianakis, Stelios, Graf, Norbert, Hoppe, Aleaxander, Rueping, Stefan, Wegener, Dennis, and Koumakis, Lefteris: Building a System for Advancing Clinico-Genomic Trials on Cancer. In: Bassiliades, N. (ed. ), Proceedings of the Workshops of the 5th IFIP Conference on Artificial Intelligence Applications & Innovations (AIAI-2009), Thessaloniki, Greece, April 23-25, pp. 36-47, 2009. 2008 Rüping, Stefan. Globalization of Local Models with SVMs. In: LeGo-08 - From Local Patterns to Global Models, Workshop at ECML/PKDD 08, 2008. Grosskreutz, Henrik, Rüping, Stefan and Wrobel, Stefan. Tight Optimistic Estimates for Fast Subgroup Discovery. In: Proceedings of the European Conference on Machine Learning and Principles and Practice of Knowledge Discovery in Databases, Springer LNAI, 2008. Rüping, Stefan, Punko, Natalja, Günter, Björn and Grosskreutz, Henrik. Procurement Fraud Discovery using Similarity Measure Learning. In: Transactions on Case-based Reasoning, 1(1), 37-46, 2008. Rüping, Stefan, Punko, Natalja, Günter, Björn and Grosskreutz, Henrik. Procurement Fraud Discovery using Similarity Measure Learning. In: Advances in Data Mining - Poster and Workshop Proceedings of the 8th Industrial Conference on Data Mining, I. Bechindaritz, P. Perner and L. Shapiro (eds. ), 2008. Punko, Natalja, Rüping, Stefan and Wrobel, Stefan. Facilitating Clinico-Genomic Knowledge Discovery by Automatic Selection of KDD Processes. ICML 2008 Workshop on Machine Learning for Health Care Applications, Helsinki, Finland, July 9, 2008. Wegener, Dennis and Sengstag, Thierry and Sfakianakis, Stelios and Rüping, Stefan. Supporting parallel R code in clinical trials: a grid-based approach. In Proc. of the 4th IEEE ISPA 2008 Workshop on High Performance and Grid Computing in Medicine and Biology (HiPGCoMB08), Sydney, Australia, December, 2008. Tsiknakis, Manolis, Sfakianakis, Stelios, Rüping, Stefan, Trelles, Oswaldo, Sengstag, Thierry, Claerhout, Brecht, Virvilis, Vassilis: A Semantic Grid Services Architecture in Support of Efficient Knowledge Discovery from Multilevel Clinical and Genomic Datasets. In: Proceedings of the First International Conference on Health Informatics (HEALTHINF), Funchal, Madeira, Portugal, 279-287, 2008. Rendenbach, Hans-Georg und Rüping, Stefan. Controlling in dynamischem Umfeld. Versicherungswirtschaft, 63. Jahrgang, Heft 11, 2008. Krause-Traudes, Maike, Scheider, Simon, Rüping, Stefan, Meßner, Harald. Spatial data mining for retail sales forecasting. In: AGILE 2008 conference proceedings / CD-ROM: taking geoinformation science one step further, Bernard, Lars (Ed.): . AGILE, 2008. Wegener, Dennis, and Sengstag, Thierry, and Sfakianakis, Stelios and Rüping, and Assi, Anthony. GridR: An R-based grid-enabled tool for data analysis in ACGT clinico-genomic trials. In: Proceedings of the 3rd International Conference on e-Science and Grid Computing (eScience 2007), Bangalore, India, 2007. Rüping, Stefan, Sfakianakis, Stelios and Tsiknakis, Manolis. Extending Workflow Management for Knowledge Discovery in Clinico-Genomic Data. In: From Genes to Personalized HealthCare: Grid Solutions for the Life Sciences, Proceedings of HealthGrid 2007, pp. 183-193, IOS Press, 2007. Potamias, George, Koumakis, Lefteris, Kanterakis, Alexandros, Sfakianakis, Stelios, Analyti, Anastasia, Moustakis, Vassilis, Kafetzopoulos, Dimitris, Rüping, Stefan, Tsiknakis, Manolis: Knowledge Discovery Scientific Workflows in Clinico-Genomics. 19th IEEE International Conference on Tools with Artificial Intelligence (ICTAI 2007), October 29-31, 2007, Patras, Greece, 91-95, 2007. 2006 Rüping, Stefan. Learning Interpretable Models. Ph.D. Thesis, Universität Dortmund, 2006. URL: http://hdl.handle.net/2003/23008. May, Michael and Potamias, George and Rüping, Stefan. Grid-based Knowledge Discovery in Clinico-Genomic Data. In: Proceedings of the 7th International Symposium on Biological and Medical Data Analysis (ISBMDA 2006), pp. 219-230, Springer, 2006. Rüping, Stefan. Robust Probabilistic Calibration. In: Proceedings of the European Conference on Machine Learning (ECML), pp. 743-750, Springer, 2006. Morik, Katharina and Rüping, Stefan. Klassifikations-/Clustermethoden und Konjunkturanalyse. Duncker & Humbolt, 2006. ≤2005 Rüping, Stefan. Interpreting Classifiers by Multiple Views. In: Proceedings of the ICML 2005 Workshop on Learning with Multiple Views, 2005. Rüping, Stefan. Classification with Local Models. In: Morik, K. and Boulicaut, J.-F. and Siebes, A. (editors), Proceedings of the Dagstuhl Workshop on Detecting Local Patterns, Springer, 2005. Rüping, Stefan and Scheffer, Tobias (editors). Proceedings of the ICML 2005 Workshop on Learning with Multiple Views. 2005. Pumplün, Constanze and Rüping, Stefan and Morik, Katharina and Weihs, Claus. D-Optimal plans in observational studies. Technical report 44/05, SFB475, University of Dortmund. 2005. Christmann, Andreas and Luebke, Karsten and Rüping, Stefan and Marin-Galiano, Marcos. Determination of Hyper-Parameters for Kernel-based Classification and Regression. Technical report 38/05, SFB475, University of Dortmund. 2005. Rüping, Stefan. A Simple Method for Estimating Conditional Probabilities in SVMs. In: Abecker, A. and Bickel, S. and Brefeld, U. and Drost, I. and Henze,N. and Herden, O. and Minor, M. and Scheffer, T. and Stojanovic, L. and Weibelzahl, S. (editors), LWA 2004 - Lernen - Wissensentdeckung - Adaptivität, Humboldt-Universität Berlin, 2004. Klinkenberg, Ralf and Rüping, Stefan. Concept Drift and the Importance of Examples. In: Franke, Jürgen and Nakhaeizadeh, Gholamreza and Renz, Ingrid (editors), Text Mining - Theoretical Aspects and Applications, pp. 55-77, Berlin, Germany, Physica-Verlag, 2003. Rüping, Stefan and Morik, Katharina. Support Vector Machines and Learning about Time. In: IEEE International Conference on Acoustics, Speech, and Signal Processing (ICASSP'03), 2003. Morik, Katharina and Joachims, Thorsten and Imhoff, Michael and Brockhausen, Peter and Rüping, Stefan. Integrating Kernel Methods into a Knowledge-based Approach to Evidence-based Medicine. In: Schmitt, M. and Teodorescu, H. and Jain, A. and Jain, A. and Jain, S. and Jain, L. (editors), Computational Intelligence Processing in Medical Diagnosis, Vol. 96, pp. 71-99, Physica-Verlag, 2002. Morik, Katharina and Rüping, Stefan. A Multistrategy Approach to the Classification of Phases in Business Cycles. In: Elomaa, Taprio and Mannila, Heikki and Toivonen, Hannu (editors), Machine Learning: ECML 2002, Vol. 2430, pp. 307-318, Berlin, Springer, 2002. Stefan Rüping. Support Vector Machines in Relational Databases. In: Seong-Whan Lee and Alessandro Verri (editors), Pattern Recognition with Support Vector Machines - First International Workshop, SVM 2002, pp. 310-320, Springer, 2002. Rüping, Stefan. Efficient Kernel Calculation for Multirelational Data. In: Kokai, Gabriella and Zeidler, Jens (editors), Proceedings der FGML 2002, pp. 121-126, Learning Lab Lower Saxony, Hannover, Germany, 2002. Klinkenberg, Ralf and Rüping, Stefan and Fick, Andreas and Henze, Nicola and Herzog, Christian and Molitor, Ralf and Schrüder, Olaf (editors). LLWA 01 - Tagungsband der GI-Workshop-Woche Lernen - Lehren - Wissen - Adaptivität. No. 763, Dortmund, Germany, 2001. Rüping, Stefan. SVM Kernels for Time Series Analysis. In: Klinkenberg, Ralf and Rüping, Stefan and Fick, Andreas and Henze, Nicola and Herzog, Christian and Molitor, Ralf and Schrüder, Olaf (editors), LLWA 01 - Tagungsband der GI-Workshop-Woche Lernen - Lehren - Wissen - Adaptivität, pp. 43-50, Dortmund, Germany, 2001. Rüping, Stefan. Incremental Learning with Support Vector Machines. In: Cercone, Nick and Lin, T.Y. and Wu, Xindong (editors), Proceedings of the 2001 IEEE International Conference on Data Mining (ICDM '01), pp. 641-642, IEEE, 2001. Rüping, Stefan. Zeitreihenprognose für Warenwirtschaftssysteme unter Berücksichtigung asymmetrischer Kostenfunktionen. Universität Dortmund, 1999. In German.